Below you will find the abstracts of the talks and workshops I have already given. An important part of reading comprehension is understanding how a text is held together, what Halliday and Hasan call ‘texture’. In this talk we will examine how cohesion creates ‘texture’, and how an understanding of this can help with reading comprehension. We will then try different activities designed to make students more aware of cohesion and ‘texture’. It should be a motivating experience, a prize or an end of term treat, but all too often the use of video in the classroom has the opposite effect. In this workshop we look at the reasons we use video in the classroom, and introduce some different ways to do so in a fun and motivating way. This talk aims to present different writing activities which can be used in the Primary classroom, both in groups and individually. 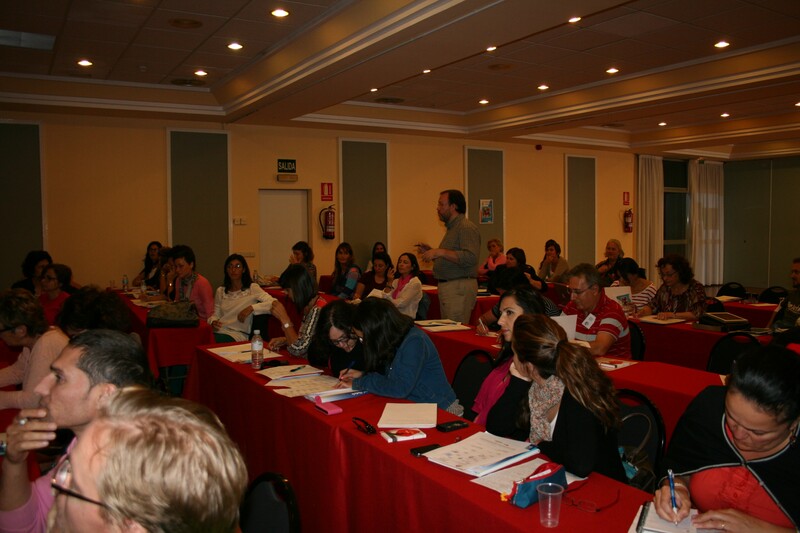 Each activity is explained and ideas for adapting it to different classroom environments are provided, paying particular attention to the CLIL classroom. One of the things which teachers do most often in the classroom is ask questions. In this talk I examine the situations in which we ask questions, the form of question which teachers use and how such questions shape the discourse in class. This talk is aimed at teachers interested in developing more meaningful communication in the classroom. Peer response is a useful technique when teaching writing as learners can feel less intimidated being helped by others in the class. It is also a useful way of teaching students vital editing skills. This talk aims to examine what peer response is and provide various practical ways in which to implement it in the language classroom, with learners of different ages. One of the most complex areas of our work as teachers is providing activities to get our students speaking in the classroom. This workshop aims to explore a number of different types of speaking activities which have been used successfully with Secondary age students of differing levels, along with options for modifying the activities according to the students’ level. As teachers we all teach writing as part of our work on the four skills, but how many times has the focus of our correcting been on surface errors more than on the actual structure of the text? This session examines the importance that the form of the text has, and looks at ways in which this can be taught.